In my experience with certain Judges in the Province of Ontario, I have found them to be corrupt or at the very least, extremely inadequate, and the deficiencies I have encountered are not new. They represent timeless flaws which need to be corrected. 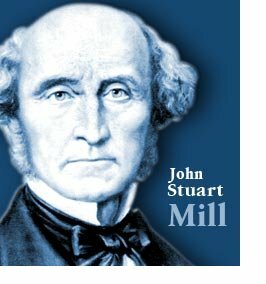 In my attempt to explain, I quote philosopher John Stuart Mill because he nails the problem I am facing more clearly than any words I can possibly think of to describe the situation I am currently experiencing. According to Mill, "it is, by universal admission, inconsistent with justice to be partial; to show favour or preference to one person over another, in matters to which favour and preference do not properly apply. Impartiality, however, does not seem to be regarded as a duty in itself, but rather as instrumental to some other duty; for it is admitted that favour and preference are not always censurable, and indeed the cases in which they are condemned are rather the exception than the rule. A person would be more likely to be blamed than applauded for giving his family or friends no superiority in good offices over strangers, when he could do so without violating any other duty; and no one thinks it unjust to seek one person in preference to another as a friend, connection, or companion." People tend to favour their friends and acquaintances over strangers and it is therefore no surprise, under the circumstances I have encountered, that some of the Judges I have appeared before have acted like they require a reason to disparage my character so that they can conceal the fact that the unworthy and unreasonable favours they bestow on my civil litigation adversaries are censurable. I have learned the Rules of Civil Procedure sufficiently to be able to conclusively determine that Judges who disparage without good reason should in fact be censured because, in the words of Stuart Mill; "Impartiality where rights are concerned is of course obligatory, but this is involved in the more general obligation of giving to every one his right. A tribunal, for example, must be impartial, because it is bound to award, without regard to any other consideration, a disputed object to the one of two parties who has the right to it". In my particular case, I am in the right so absolutely and without any reasonable doubt, that I would have to be labelled a psychotic to think otherwise, and that is the tactic that my enemies have chosen to embrace. They have chosen to claim that I am a psychotic so that their idiocy will prevail. In the process, they are making a mockery out of the entire justice system. Under these circumstances, it is a source of pride to be called a psychotic because it merely confirms the malignancy of Judges who defame by imagining defect where none exists. Having investigated the absurd notion that I am a psychotic as fully as possible, I can confidently say that I am anything but, and if my enemies were in an equally confident position, they would be able to rely on facts to prove that I am in the wrong.